Italy’s Senate voted on Wednesday to flung out of Parliament Silvio Berlusconi following his recent conviction for tax fraud. This may be the end of Berlusconi's parliamentary career but, unfortunately, yesterday's vote does not necessarily mean the end of Berlusconi's show. One thing is for sure: Il Cavaliere has now been forced to step back from the front line of Italy's political life, with immediate effect. The decision to expel the controversial ex-Prime Minister came at the end of a momentous day and a long political and legal battle. The fact is that Silvio Berlusconi, stripped of the status of Senatore, has lost his parliamentary immunity from prosecution that has protected him so far, and is due to face arrest over other criminal cases. Belusconi's many legal and political troubles will probably just keep growing from now on. But the expelled Senatur appeared defiantly outside parliament and delivered a speech to the few hundreds of supporters who had gathered in the colds. During his speech, Il Cavaliere pledged to keep his place in the core of Italian politics, and went so far as declaring the day he was expelled “a day of mourning for democracy”. Bitter tears are surely to run down pretty pinups' faces, possibly ruining their make-up. 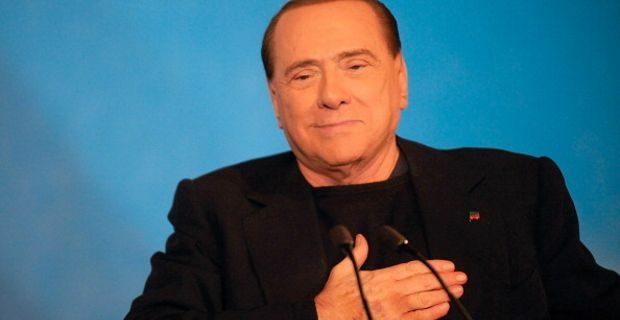 Typically, Berlusconi used a good deal of rhetoric, in a bid to twist the pity story around. Once again he addressed claims of persecution, a fairy-tale that his supporters drink up like nectar: “No political leader has suffered a persecution such as I have lived through" he claimed in front of his people on Wednesday afternoon. The Italian Senate's vote is only the last tassel of a process that ruled out Silvio Berlusconi from taking part in any general election for the next six years. However, with a political ambition only slightly smaller than his huge financial resources, we believe thatBerlusconi is not just going to step down quietly.